The technological and analytical skill levels in the current RAAF officer corps have fallen well below the standards seen during the 1960s, 1970s and 1980s (US DoD image circa 1980). The RAAF has suffered a critical loss of professional mastery, especially in the areas of basic military science and military technology. The consequences of this problem have been reflected in public statements containing errors of logic and fact and in poor decisions in capability development, and equipment procurement. These errors have led to incorrect advice being given to Government and Parliament in operational, strategic, technical, and force structure planning areas. The root cause of the problem can be traced to the structural changes, particularly the disestablishment of the RAAF’s Engineer Branch, imposed by the Defence Efficiency Review (DER), Defence Reform Programme (DRP), and Commercial Support Programme (CSP), coupled with a failure to recognise the need to maintain the critical skills sets in engineering, science, operational analysis and strategy required for the management of a modern Air Force. Redressing this problem will require a well-planned series of short, medium and long-term actions, starting with the staffing of the Minister’s Office with highly competent and independent expertise in defence matters capable of analysing and determining the soundness of current air power planning. This should be followed by the development and implementation of the robust and disciplined analysis and management systems needed to ensure that future decisions are both based soundly and verifiable. The longer term sees a technological re-skilling of the RAAF through the re-establishment of the Engineer Branch and a sharper training and education focus for both Air Staff members and Engineers as the management and application of technology in a modern Air Force will always depend upon the closest collaboration between highly professional airmen and highly professional engineers. The Royal Australian Air Force is today facing the single greatest challenge it has confronted in its 86 year history. That challenge is recovering the professional mastery which has been lost over the last two decades due to downsizing, outsourcing, restructuring, deskilling and the inevitable management difficulties that followed. The severity of the problem cannot be understated. Air forces are inherently technologically centred military services. Every aspect of tactics, operations, strategy, planning and support is permeated with technological issues, be they in the employment and support of systems, or in the skills sets of personnel. An air force which cannot effectively master its technology is, simply, unable to perform its basic role. The reality of the RAAF's progressive deskilling and consequent loss of professional mastery is disturbing, but no less disturbing than the reluctance to acknowledge the problem, both within Defence as an organisation, and within much of the parliamentary community. It amounts to a national embarrassment, but embarrassments are only fixed if the problem is properly acknowledged, analysed, quantified, and corrected. The problem of RAAF deskilling is not isolated within the Australian Defence Organisation. The long series of poor choices made in strategy definition, capability development and procurement points to a deeper and broader problem, encompassing the two sister services, the capability development bureaucracy, the acquisition bureaucracy, and key Defence areas such as Strategy Branch. However, the RAAF, due to its nature, is the Service most sensitive to loss of professional mastery, making it the most appropriate case study of this problem. This analysis will follow a systematic approach to identify the scale of the problem, with the aim of producing hard metrics to define remedial measures. There is much anecdotal evidence of the deskilling problem, but a far larger and more concerning collection of evidence is to be found in formal public documents. Perhaps the most illustrative of the anecdotal items includes an observation, in 2004, made by a serving senior RAAF officer to one of the authors, specifically that the Russell Offices bureaucracy was characterised by ’institutionalised mediocrity’. No less illustrative is a more recent observation circulating in the Australian analytical community, that “Within Russell Offices, Defence have repealed the laws of physics”. Statements and documents on the public record are traceable, and so constitute sound evidence which cannot be dismissed as fabrications, fantasies or opinion, or altered arbitrarily to misrepresent a situation. Public statements and documents will have been subjected to one or more internal reviews within the Defence organisation before being briefed to the parties delivering the material in public, illustrating that more than one party was unable to differentiate fact from error. Senior officers and senior civilian personnel making such statements were also unable to differentiate fact from error in their briefings, as rational individuals would not subject themselves to public embarrassment by making erroneous statements in the full knowledge that they are in error and being carefully scrutinised. The first illustrative case study involves evidence provided by the then Chief of Air Force and Chief of Defence Force in late 2003 to the Federal parliamentary Joint Standing Committee on Foreign Affairs, Defence and Trade. A forensic analysis co-authored by one of the authors of this analysis established at least fourteen instances of basic domain knowledge not being understood, several instances of inappropriate cost inflation, and eleven key items of evidence being omittedi. The second illustrative case study is a public briefing document entitled ’Consideration of Defence Input to Defence Annual Report for FY02/03’, produced in response to the above cited forensic analysis, after considerable delay by Defence. Forensic analysis of the latter document yielded even more disturbing results than the preceding evidence, as the document was produced in response to a series of specific criticisms. “The evidence presented by senior Defence officials to this Inquiry demonstrates a much higher frequency in errors of fact, non sequitur conclusions and lack of rigour, compared to the evidence presented in 2004 in relation to these matters. There is a remarkable consistency of misunderstanding, non sequitur conclusions and errors of fact, a rejection of alternatives and risks, selective bias in analysis, absence of contingency plans, and poor definition of objectives. This is no different from that observed in recent and well documented overseas decision failures”. The fourth illustrative case study is a 29th October, 2007, document posted, without attribution, on the Defence website, entitled ’THE ADF AIR COMBAT CAPABILITY’. Forensic analysis of this document yielded a total of 42 errors of fact, 17 non-sequitur conclusions, and 32 instances of ’spin doctoring’ where the author(s) attempted to alter the manner in which a typical reader would assess a statementiv. The frequency with which errors of fact, misunderstandings of basic domain knowledge, and logical fallacies appear in these formal documents has increased considerably since 2003. Given that Defence will have expected public scrutiny and criticism, this shows that the professional mastery required to produce a robust document is clearly not available. Basic domain knowledge is either absent, or misunderstood, or is present but ignored, or even deliberately suppressed. Errors in logical reasoning processes are also common. Valid conclusions require that valid logical reasoning techniques be applied to robust domain knowledge. The application of invalid reasoning methods to valid data, and the application of valid reasoning methods to invalid data, both result in failure. It follows that Defence are in genuine difficulty with both prerequisites, as a result of which resulting conclusions are morely likely to be in error than correct. fundamental physics of flight, physics of weapon design and physics of sensor equipment. basic engineering knowledge required to assess military systems, and maintain military systems, including basic reliability theory and risk analysis. basic qualitative and quantitative relationships defining engineering economics and operational economics of military systems, including basic probability theory. fundamentals of modern operational technique and planning. fundamentals of modern strategic thinking and their application to force structure planning. specifics of regional capabilities and military equipment within the region. specifics of extant and proposed RAAF systems and capabilities. basics of critical thinking, including logical reasoning technique, argument structuring and technical writing skills. These evidence a deep and pervasive literacy problem in basic domain knowledge, in solving technological and strategic problems, and in the ability to solve logically and rationally the kind of problems that characterise military staff work in a highly technological era. Less publicly visible are the damaging effects arising from staff deskilling, as they percolate down to operational units. A mainwheel falling from an F-111 due to an improperly secured wheelnut is public knowledge, as well as aircrew illuminating road traffic with a laser designator, a fuel tank explosion in an F-111 due to the retention, despite contractor advice, of defective components, and a whole range of other skills related maintenance, support and operational problems observed with RAAF aircraft and training operations. That there have not been any fatal accidents in recent years is evidently more due to good luck than good management. The same cannot be said for the operation of aircraft by other two service armsv. Erroneous advice to the Howard Government on the matter of F-111 life cycle costs and operational risks, as well as capabilities. Erroneous advice to the Howard Government on regional capabilities, especially those of Russian fighter aircraft and weapons. Erroneous advice to the Howard Government on the viability of the F-35 Joint Strike Fighter relative to Australian strategic needs. Erroneous advice to the Howard Government on the costs and risks in the F-35 Joint Strike Fighter program. Erroneous advice to the Howard Government on the viability of the F/A-18F Super Hornet relative to Australian strategic needs. Erroneous advice to the Howard Government on the capabilities and costs of the F-22A Raptor. Erroneous advice to Parliamentary Secretary Dr Mike Kelly on RAAF airbase vulnerability, relative to regional weapons capabilities. Poor capability development choices in a number of areas. Poor project management technique on the Wedgetail AEW&C program. An active pursuit of the 'derisking programs' philosophy of equipment support, whereby maintenance and upgrades are outsourced to overseas organisationsvi. These examples indicate that the RAAF is confronting a deep and pervasive systemic problem due to personnel deskilling, especially prominent in the areas of science, technology, foreign capability analysis, strategy, military science and thinking, and critical reasoning techniques. This problem is cumulative, in the sense that the organisation's internal belief system has been contaminated with numerous false beliefs in lieu of verifiable facts, and that contamination will propagate and reinforce itself over time. As a result, the RAAF will find itself in an ’alternative reality’ which is not aligned with the physical reality around it. This is a strategically dangerous state for any organisation to be in, especially a military service. If this problem is not corrected, and remedial measures introduced rapidly and aggressively, the only possible outcome is a major operational failure and defeat in combat if the RAAF is put to use in its stated role. In looking into the nature and extent of the de-skilling of the RAAF, and its consequences, it is important to first review the structure of the Service before the implementation of the DER/DRP and CSP. 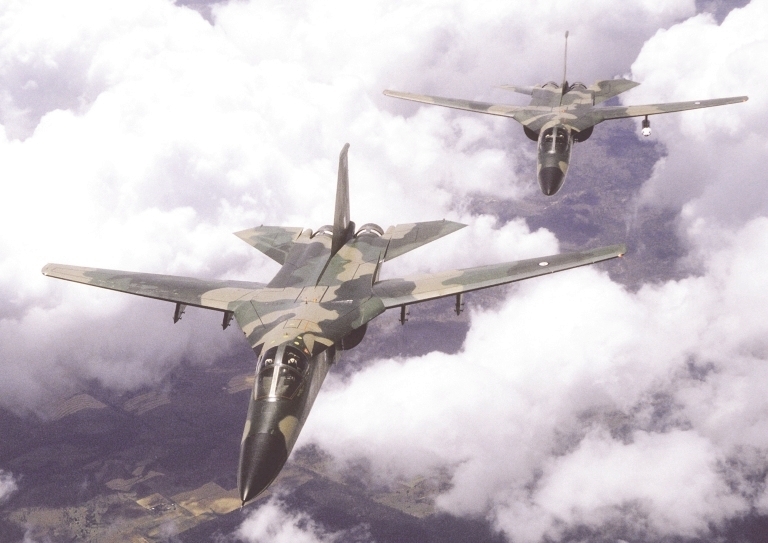 Operated and manned three major Aircraft Depots which were responsible for the overhaul of several aircraft types, the TF-30 engines for the F-111, a wide range of aircraft sub-systems and equipment, and ground telecommunications systems. Operated and manned four major Maintenance Squadrons that provided direct support for the operating elements, Bomber, Strike, Transport, and Maritime. Operated and manned No 1 Central Ammunition Depot which managed all explosives ordnance. Carried out a comprehensive Engineering and Maintenance regulatory function, which included airworthiness control. Planned and managed all major repair and overhaul arisings for aircraft, engines, repairable items and other equipment in RAAF facilities, and Contractor facilities in Australia and overseas. Assessed and (with the Supply Branch) procured and distributed the technical spares and other equipment needed to support all RAAF maintenance programmes, controlling a technical inventory of some 643,880 lines, designed to meet engineering, maintenance, and supply requirements. Planned and managed the updating of current capabilities, including the technical evaluation and source selection of new capabilities, and the procurement, introduction and establishment of all lines of support for new capabilities by the time they were introduced into service. A key element in the provision of technical services support was the Director General, Technical Plans (DGTP) whose task it was to identify, plan and manage all changes to the technical support base that flowed from Air Staff Plans and Programmes, such as manning, skills, facilities, support equipment, documentation, and so on. Monitored the performance of all technical support activities and took corrective action when necessary. The RAAF also provided technical support for specific Army and Navy aircraft. Together, the Aircraft Depots and the Maintenance Squadrons safeguarded the RAAF’s operational independence, developed the deeper-level expertise need for the planning and introduction of new capabilities, and provided a reserve of resources able to support prolonged deployments. Maintaining the force at a high state of readiness. Ensuring that the force could be launched quickly in response to a wide range of tasks. Enabling the force, once launched, to be sustained. Supporting a high degree of flexibility in the application of air power in time, space, and role. The RAAF Technical Services organisation demonstrated its competence through many emergencies, not the least in Vietnam where it earned much commendation from the US forces in that theatre, refer Annex C for a more detailed summary. At that time, the Chief of Air Force (CAF) had command and control over all RAAF elements and the resources need to meet his Air Power responsibilities. The short and direct lines of command and control enabled the RAAF to absorb the inevitable ebbs and flows in Government policy and funding with a controlled, minimum impact on core operational capabilities and the support infrastructure. Support plans could also be varied quickly to meet changing Air Staff Plans and Programmes, while protecting the Defence Industry Base upon which the Air Force depended. The Technical Services Branch carried out the functions listed above under one Technical Services Chief supported by 718 engineers who maintained a sound level of expertise in the aircraft operated, the systems fitted, and the technological environment in which they operated. The Service was recognized as being the most capable air force for its size in the world. The RAAF Re-organisation (1982 on). Under the prolonged and unrealistic financial constraints imposed on the Services following the Tange structural changes, the RAAF sought economies by moving from its traditional Engineering, Maintenance and Supply support structure centred on AFO and HQ Support Command to Weapon System support elements located at the operational bases. Unfortunately, RAAF implementation plans were overtaken by government driven structural changes. The Sanderson Review (1989). This structural review led to the downgrading of the RAAF’s Development and Technical Services Branches, the latter ceasing to exist in 1989, although fragments drifted through the organisation until 1993. This review also required the three Service Offices to have a common structure, and later limited their manpower to 100, both decisions being imposed without thought for the marked differences between the Services in the technology operated and supported. The General List. About the same time, the RAAF introduced a ‘General List’, which included all officers of the rank of Group Captain and above, so as to provide a pool from which higher management posts could be filled. In effect, it resulted in important posts being filled by officers with inadequate qualifications. The inevitable impacts upon force structure decisions, source selection, and project management competencies have been well illustrated over the years since. From 1996, these programmes, driven mainly by achieving ‘savings’ without thought for their impact on the management of the Service and its technical support base, reduced the span and depth of RAAF technical responsibility. Contractors failed to fill the resulting engineering support gap on the grounds of cost. The DER/DRP imposed mainly structural changes and manpower constraints that saw the RAAF’s size reduced significantly. The CSP concentrated on outsourcing RAAF maintenance work, contracting out the work of the three Aircraft Depots and the majority of that done at the four major Maintenance Squadrons, as well as other RAAF units. The RAAF has been left with the lowest and least skilled maintenance tasks done at Operating (Flight Line) level. Support Command Re-organisation. Firstly, the RAAF’s Support Command (later Logistics Command) was absorbed by Support Command Australia, which was then absorbed by Defence Materiel Organisation (DMO) which also assumed responsibility for both in-service support and the acquisition of new capabilities. The continued inability of DMO to properly specify, source and procure the needs of the RAAF through a lack of the required technical skills and management experience has been endemic. Disperse the RAAF’s critical Technical Services functions and resources indiscriminently across multiple organisational, functional and financial interfaces, resulting in a loss of visibility and control across the Force of the technology being operated and supported. Reduce the span and depth of the technical skills and experience needed to manage RAAF capabilities across the Force, provide professional input to Air Staff Plans and Programmes, and support the evaluation, selection and introduction of new capabilities. The continued problems within DMO in managing Australia’s Air Power programmes can be traced back, to a large extent, to the loss of RAAF technical expertise. These impacts became visible firstly in a fall in airworthiness standards which led to the establishment of a Director General Technical Airworthiness in 1990. Then, continued poor maintenance standards led the CAF to form a Director, Maintenance Policy and Planning in 2007. While these responses will be helpful, their effectiveness will be limited severely so long as the RAAF does not have a Technical Services organisation at AFO level to achieve the visibility and control needed to ensure effective engineering and maintenance support across the Force. Detailed discussion of the role and importance of Technical Services functions and the penalties that flow from ignoring them can be found earlier publications on RAAF maintenance and airworthiness. “In our view, air operations will always depend for their success to a marked extent on the right handling of the related technical problems. Intelligent direction of scientific and engineering resources, as well as of the men who apply them, is therefore fundamental. The evolution of a common technical doctrine and a strong corporate feeling is prerequisite to really efficient and economic management. Interestingly, the strongest support for Hill’s views came from the senior members of the General Duties Branch of the RAF and, in essence, the decision spelt the end of a generalist approach to what remains a specialist function. Today, the RAAF has reverted to 'generalist' managment, its engineers absorbed into a culture of ‘management’ rather than one of professional engineering. The current structure of the RAAF has become sectional and separatist as Hill foresaw. There is no powerful unifying influence; nor is there evidence of any balancing professional judgement between operations and engineering. RAAF culture and traditions as being impediments to needed change, which prompted six months of senior officers speaking with all ranks about their role in the Service and their values. The problems associated with people in Maritime and Airlift facing their fourth or fifth deployment. This resulted in a ‘re-balancing’, which amounted to the re-allocation of resources, mainly from the Project Offices, aggravating developing problems there. Problems with manpower levels, training system dynamics, financial unresponsiveness, and maintaining workforce experience. We want to send teams into the workplace to ask “How can we help you? We are not going to mandate what you do. We want to help you to achieve a greater, more effective and efficient outcome”. The first point suggests a breakdown in the unity of direction that should flow down the chain of command and control from the CAF to the lowest levels of the RAAF, resulting in uncertainty that must impact in turn upon morale and ethos. The second reflects ineffective co-ordination between Air Staff planning and personnel management. The third a disconnect between Air Staff planning and resource management, especially recruitment, training, finance, and manpower development. The fourth points to the absence of a Force-wide Technical Services management organisation able to establish and maintain maintenance efficiency, effectiveness and airworthiness standards across all Fleets. The fifth is a reactive response to problems that have been allowed to develop. It epitomises management lagging and reacting rather than leading firmly. This is a totally inadequate and dangerous management concept for a Military Service that should need no further comment! The adverse impacts of interminable structural changes have also been reflected in a decline in the professional mastery of operational staffs, particularly where they interface with technology, support elements, and the Defence bureaucracy. Within the RAAF organisation pre-DER/DRP/CSP, Air Staff officers gained practical management experience through having to work with the supporting branches, mainly Technical Services, Material, Supply, Personnel, and Administration, requiring them to understand the critical interdependencies involved at Air Force Office, Command, and Base levels and at RAAF elements overseas . However, the ‘gutting’ of the Service’s capabilities, together with the current AFO and Force Element structures have reduced dramatically the span and depth of Air Staff officer professional and management expertise in much the same way that Engineer officer expertise has been affected. Coupled with the lack of the tertiary knowledge required of senior Air Staff officers to perform at the higher levels in such specialist areas as force structure and force development, the problem becomes more critical. What we see is the breakdown of the ability of the CAF to manage Australia’s air power as a coherent force; an organisation that has lost its way trying to survive and navigate the multitudinous changes that have been imposed since Tange; a force following management concepts that are wholly unsuited to any military force, a force not structured or organised to manage its core dependencies; a force constrained by the overwhelming preoccupation of the bureaucracy with exercising financial power, making it and the RAAF unable to respond coherently and timely to changing needs; a force that carries primary responsibility for the defence of Australia, but is ‘supported’ by a bureaucracy that does not accept any responsibility. In summary, the current organization, management approaches, and skills base do not, and can not, assure the CAF that his force elements will provide him with the performance that he must have to meet his operational responsibilities as a fully integrated and unified Force. This situation points to a serious lack of the required professional mastery. The 'classical' educational and training model for the RAAF officer corps, as implemented during the pre-Tange era, comprised a range of possible entry and growth paths, both for aircrew and engineers. Selected graduates from the RAAF Engineering and Radio Apprentice Squadrons, plus some adult trainees, who had acquired practical experience at maintenance and other units. These ‘practical’ engineers provided some 33% of the RAAF’s engineer corps. The Diploma Cadet Squadron was formed to fill the gap between the ‘practical’ engineers and the university-educated engineers, with courses developed in concert with the Royal Melbourne Institute of Technology. Graduates were awarded Associate Diplomas in the MechEng, ElecEng, and RadEng disciplines after completing four years of study and graduated as Pilot Officers. The squadron closed when ADFA was formed. In 1980, with the RAAF’s trade structure having to face the proliferation of integrated systems and computer control, a Systems Technician specialisation was introduced. All engineer as well as trade training was anchored firmly on what was needed to maintain and develop the Air Force technologically. In essence, the engineer corps highlighted the need for a technology focussed Air Force in contrast to the general air crew concept that flying was an end in itself. On commissioning, engineer officers obtained a common, basic Service education at the Officers’ Training School. Both engineering and general service subjects were included in promotion examinations ‘B’ (to Flight Lieutenant) and ‘C’ (to Squadron Leader). For those wishing to compete for the higher staff ranks, the ‘Q’ examination qualified them for the RAAF Staff College which awarded the annotation ‘psc’. Further education was conducted at the Joint Services Staff College (later the Australian Defence College), which awarded the ‘jssc’ annotation. Limited members were then selected to take a range of courses overseas, usually with the RAF or USAF, such as the RAF Technical College, the Empire Test Pilots’ School, the Royal College of Defence Science, the Royal Military College at Cranwell, and the USAF’s Institute of Technology. At all levels of training and experience, there was a constant thread that emphasised airworthiness and the many and diverse activities that go to make it up. Members were also inculcated with both the ethos of the engineer and that of the Service as a whole. A more detailed discussion of engineer training is in Annex A of this document. The RAAF College (later Academy) which was attended by selected officers, the majority graduating as pilots with a BSc qualification, later supplemented with a GradDipMilAv. No 1 Flying Training School (1 FTS) which took in mainly direct entrants and some selected servicemen. Qualified aircrew from overseas services. No 1 FTS also trained pilots for the other services. Navigator training was conducted at the School of Air Navigation (SAN) and Air Electronic Officer (AEO) training at the School of Radio and SAN. Entrants for these categories came often from 1 BFTS students who did not qualify as pilots, and serving members. No 2 (Fighter) Operational Conversion Unit. SAN (School of Air Navigation) for specialist training. No 292 Squadron for Maritime crews. The Training Flights at 6 (Bomber) Sqn, and No 37, 37, and 38 Sqns (Air Lift). Selected officers would then be selected for further training and experience overseas through exchange posts, and facilities such as the Central Navigation and Control School (UK) and the Empire Test Pilots’ School (UK) or the USN Test Pilots’ School (US). Air staff members then progressed through the ranks, taking their promotion examinations, and professional development courses in common with the officers of the other branches (psc and jssc). Some were selected for courses overseas such as those at the Royal College of Defence Science (UK), USAF Institute of Technology, and the Air Warfare College (US). Although the number of Air Staff officers having tertiary qualifications varied considerably across the ranks, they still represented a significant percentage, and by graduating its RAAF College pilots with a BSc, the Service was clearly endeavouring to raise the general technological awareness of its operational staffs. The tertiary qualifications at the time are summarised in Annex B. Unfortunately, these basic qualifications do not seem to have been followed up with post-graduate qualifications in fields such as science, technology-based operational analysis and air power development. The Air Staff seemed to be content to leave the management of technology in the hands of the Technical Services Chief, perhaps not surprisingly, as that Branch had performed consistently well. However, having lost that support base when the Technical Services Branch and HQ Support Command were dismantled, the RAAF faced a great void in its ability to manage technology in both operational and technical support areas. The contemporary in-service undergraduate and postgraduate professional education system reflects the current focus on ’jointery’ and this is reflected in tri-service teaching establishments. Undergraduate education is provided for officer cadets by the Australian Defence Force Academy (ADFA) in Canberra, which is affiliated with the University of New South Wales, a Go8 (Group of Eight) university. This places the quality of undergraduate education provided in the same bracket as other first tier Australian universities, and graduates are awarded accredited degrees in their respective disciplines, which cover most of the categories found at other Go8 universitiesviii. Postgraduate staff education is primarily provided by the Australian Command and Staff College (ACSC) and the Centre for Defence and Strategic Studies (CDSS), both part of the Australian Defence College. The ACSC amalgamates the three previous single service staff colleges into a single entity, and its purpose is to provide ’classical’ staff college courses to mid ranking officers. The CDSS course is aimed at senior officers (colonel and 1-star), and covers strategic leadership and command, the strategic setting, higher command, capability development, and policy development. The CDSS is accredited to award Graduate Certificates, Graduate Diplomas, or Master of Arts degrees in Strategic Studies via Deakin University (non Go8). Historically, the RAAF has also posted a small number of high achieving mid ranking officers overseas, to undertake research or coursework Masters degrees at the US Air Force Institute of Technology and the UK Cranfield University Defence College of Management and Technology. A mid ranking or senior general duties branch RAAF officer will therefore have completed staff college training, and in some instances a coursework Masters degree, the latter mostly in management related disciplines, or humanities, frequently involving strategic studies, all of which may be categorised as ’soft disciplines’. What is observed much less frequently are research masters degrees in sciences, engineering, operations research and other ’hard disciplines’. Doctorates (PhD, DSc, DS) are exceptionally rare, regardless of the discipline in question. RAAF Engineers will typically have a higher fraction of Masters degrees, especially in engineering and the MBA category, but few of these will be research degrees. The latter contrasts strongly with the US Air Force, an excellent benchmark, which has a good number of senior and mid ranking officers with PhD degrees, a robust proportion of which are in the ’hard disciplines’. The educational background most senior RAAF officers have is primarily orientated towards management and leadership, with some component of service specific strategy and doctrine. What is largely absent is training in research skills, especially skills involving hard science areas like mathematics, physics, operations research, engineering and military strategy and science. A coursework Masters degree, which in the globalised tertiary education system is typically similar in depth and difficulty to the final year in undergraduate studies, cannot provide the depth of domain knowledge, research skills and critical thinking taught in a research Masters or PhD from a world class university. To believe otherwise is to discard a century of empirical experience, in which many high achieving and innovating military officers on the global stage had exactly this type of postgraduate education. In the rapidly evolving and technologically complex strategic environment Australia finds itself in now, the RAAF officer corps is mostly equipped with the wrong kind of postgraduate education and as a result, is seriously deficient in the kind of intellectual skills sets critically required for success. Failure to correct the problems inherent in the RAAF's current staff training and education mechanisms will have dire consequences not only for the RAAF as an organisation, but also for the Australian community which is funding it. In extremis, the end state of the current trend is best observed in a range of Third World air forces, where professional mastery is largely absent with planning choices made for arbitrary reasons. In particular, there is a genuine risk that the current deskilling problems will contaminate advice provided to the current Air Combat Capability Review, and the current White Paper development process, damaging the outcomes produced by both reviews. To remedy the situation it will be necessary to introduce a series of short, medium and long term measures, which will need to be implemented with promptly and efficiently, both to protect the RAAF from the cumulative problems it is experiencing, and to protect the Defence organisation as a whole from poor advice and its inevitable consequences. Short/Medium Term Measures intended to protect the community from bad advice include staffing the minister's office with proven independent expertise in air power matters, and the engagement of external independent reviewers to critically analyse the advice provided by the RAAF to the Minister for Defence. This requires immediate implementation. Short/Medium Term Measures to protect the RAAF and Defence organisation internally against deskilling related problems include red teaming, the design and implementation of internal organisational feedback loops, and the engagement of independent reviewers design the robust analysis and management systems needed. This also requires immediate implementation. Long Term Measures will be required to reskill the officer corps, and these will inherently be progressive in implementation, with both structural and education / training components. These include the re-establishment of an RAAF technical services organisation to restore relevant practical experience and skills, as well as changes to educational criteria for entry, and especially promotions within the RAAF. The latter measures must be applied to officers in the General Duties Branch as well as to engineers. These measures are essential if change is to be effected, and the RAAF and community are to be protected from the cumulative damage of the last three decades of mandated change. Restructure the grossly inefficient organisational, functional, and financial interfaces that now exist, principally those within the AFO and its interfaces with DMO. The objective here is to ensure the RAAF operates and is managed as a Force under CAF, with a strong unity of direction, rather than a conglomeration of small, independent capabilities focussed largely on Joint Operations. Re-establish a Technical Services organisation under CAF to provide the technical visibility, control and co-ordination of all Force elements. Re-establish Maintenance Units to free operational Units to concentrate on operations. This will also provide a better breeding ground for the technicians and engineers needed to run a modern Air Force and provide professional technical input to RAAF and Defence plans. Such units would also provide the resources needed to support operational deployments – one of the main reasons for their original establishment. Re-skill the RAAF in all areas, and increase the level of professional management by revising the philosophy behind the General List which, from experience, can not be claimed a success. Provide incentives and material support to enable a much larger proportion of officers to gain relevant university postgraduate qualifications, to increase the education standard and pools of skills sets in the sciences, information technology, engineering and related quantitative areas like operations research. Qualifications in non-technical management and administration should not be actively encouraged, but technical management degrees should be encouragedix. Given a proper organisational structure, the skills required to manage the RAAF’s current and planned technology will need to be established for both maintenance and engineering functions. The former must provide the basic and advanced skills to carry out and manage all maintenance tasks. Within those areas involved with higher level engineering tasks, engineers will have to be competent in technology, analysis techniques, and technical management. Unfortunately, the management of technology has not been well served by the tertiary institutions, so RAAF may have to develop these courses in conjunction with a selected tertiary organisation. Such changes will go far towards re-establishing the RAAF as a skilled and experienced operator and supporter of high technology air power with the necessary professional mastery. Organisational structure and practical skills alone cannot address all of the cumulative problems observed, and education and training will have to play a major role. All newly qualified junior officers should have a university undergraduate degree. The Non-Graduate or Direct Entry category for aircrew, which requires high school Year 12 education only, should be amended, such that the officer candidate is required to do a university undergraduate degree as part of their training process. There is another important consideration in relation to undergraduate university degree education of officer candidates. The reality is that since the early 1990 amalgamation of the University system, there has been a strong trend away from teaching durable fundamental knowledge, in favour of more marketable vocational and applied skills. This, combined with the ongoing decline in the quality of much of available high school education, especially in the sciences, presents some important problemsx. A Non-Graduate or Direct Entry aircrew applicant in 1970 will have been far better educated in English language skills, basic science including mathematics and physics, than many current university graduates in soft or applied science disciplines. Most university academics in Australia have to contend with undergraduate student literacy problems in English language, mathematics and physics, all a result of an underperforming high school system. In practical terms, a university graduate with an honours degree entering the RAAF today may have poorer skills in these key areas than a high school graduate of 30-40 years ago. A military aviator today must be competent in basic physics and mathematics to properly understand tactics and the technology he/she is using – and his opponent is using against him/her. Every aviator needs this foundation knowledge, and needs to be competent in using it. While modern aircraft might be easier to fly than Sabres or Mirages, the complexity of the systems, sensors, weapons and computer equipment which runs this equipment is in many respects greater. For a warrior to prevail, or even survive, in this type of environment, he/she has to play every technological advantage he/she has against his/her opponent, and doing that competently requires solid understanding – not just the ability to regurgitate lecture notes or slides. This and the current unsuitability of the skills imparted by typical undergraduate university education leads to one inevitable conclusion. The RAAF will need to engage one or more universities to provide undergraduate courses which are optimised for aircrew, with a 'classical' education in mathematics, physics and problem solving, to provide aircrew with appropriate foundation skills sets. The issue of postgraduate education for mid ranking and senior officers is no less important. The RAAF will need selected decision makers and planners for staff positions who are intellectually equipped to provide disciplined and rigorous analytical and problem solving capabilities. This skills set is today primarily produced by postgraduate research degrees such as masters or doctorates in science or engineering, at upper tier universities. A model which might be appropriate is that espoused by US General Curtis E LeMay, Commander of Strategic Air Command and later Chief of Staff Air Force, who was a vocal advocate of intensive training and high standards of education in the officer corps. LeMay favoured officers seeking higher promotions who completed postgraduate research degrees from top tier US universities, with a bias toward science, engineering, operations research and strategy, all disciplines of high value in strategic planning staff work. In practical terms, an RAAF officer should not be promoted to GPCAPT or higher, unless that officer has completed a rigorous high quality postgraduate research degree in an intellectually difficult and relevant discipline. Areas such as science, engineering, operations research and strategy should be favoured, over other, less relevant disciplines. A coursework masters degree, especially in a 'soft' discipline, should not be counted as a useful measure of academic achievement in assessing a mid-ranking or senior officer for promotion. A problem which is likely to arise is that the quality of earlier undergraduate education may preclude entry to the higher quality universities, and suitable strategies will need to be developed to overcome such difficulties. In summary, the RAAF will need to change the type of education its officers receive, from the undergraduate level to the postgraduate, to provide skills sets which are relevant for staff work in a complex, technologically driven planning and warfighting environment. One reliable measure of professional mastery within an organisation is the clarity of thinking and expression in its writings. Traditionally, the RAAF placed great emphasis on Service writing, with conciseness, clarity of thought and expression key elements in its courses and examinations. High standards were set and maintained for Service Papers Appreciations, and General Service Writing, and failure to reach the required standards was to place a limit upon a member’s career. The reasons were simple – a lack of clarity of thought and expression cannot be tolerated in any military organisation. The consequences of false or confused information were too high to accept, particularly so in a high technology service. If the RAAF is to recover and develop its professional mastery, it must start at the fundamental levels of thinking and expression. The contracting methodology adopted by the DMO is based upon an approach used in the USA during the 1980s and 90s, known as ‘Total System Performance Based Contracting’. This approach resulted in financial and capability consequences that were far from optimal. The DMO versions of long-term equipment supply and support contracts are based upon the DMO ethos of ‘De-risking Projects’, a hazardous concept unique for any industrialised Nation, and an approach not recognised by any Risk Management Standard. This approach is seen by DMO as transferring risk from Defence to the Contractor, but no contract can ever achieve this. If a contractor defaults for any reason, the prime risk – that is, any adverse impact upon Australia’s force readiness, responsiveness, flexibility, effectiveness and, in the case of aircraft, airworthiness.– must always be borne by the RAAF, and hence Australia, not the contractor. DMO can only impose commercial sanctions upon any defaulting contractor, or attempt to as a long and expensive legal process inevitably takes over. Finally, the whole concept is in direct conflict with the policies of successive governments of both persuasions which have emphasised the criticality of a robust Defence Industry Base to underpin Australia’s self-reliance. In fact, current policies herald a marked, possibly total, withering of Australia’s remaining Defence Aerospace Industry. Current DMO contracting practices are inimicable with government policies and will also be a major impediment to the re-skilling of the RAAF, and indeed the re-skilling of Australian Industry. There is much empirical and public evidence which shows that the the RAAF has suffered a critical loss of professional mastery, especially in areas related to basic military science and military technology. The consequences of this problem range from public statements containing numerous factual and logical errors, across poor decisions in capability development and procurement, to incorrect advice to Government and parliament on a range of operational, technical, strategic and force structure planning issues. 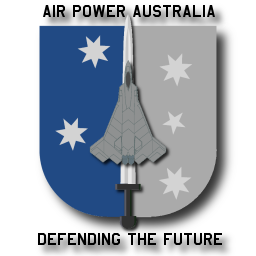 The root causes of this deep and pervasive problem can be traced back to the disestablishment of the RAAF's Branch structure, especially the Engineering Branch, during the progressive implementation of the Defence Efficiency Review (DER), the Defence Reform Programme (DRP), and the Commercial Support Programme (CSP), and a failure to introduce and implement alternative measures for maintaining critical intellectual skills sets in engineering, science, operational analysis and strategy. The consequence of this is that the current RAAF officer corps is mostly not equipped with a suitable educational background or experience profile to master the kind of problems which arise in management and planning of complex and intellectually demanding areas. Solving this problem will require a combination of short, medium and long term measures, detailed in this paper. Unless a sustained and aggressive effort is made to re-skill the RAAF, and DMO ceases to enter into long-term, ‘De-risking’ contracts, the cumulative and ongoing effects of de-skilling will not only continue to damage the RAAF severely, but will also cause ongoing and increasing damage to Australia’s Defence Industry Base and its key military capabilities. The authors wish to express their gratitude to the six expert reviewers, in Australia and the United States, who contributed cogent, incisive and relevant critique of the draft of this paper. “For sixty years, no activity has been more important to the RAAF’s professional well-being than its education and training programs. It was primarily through these programs that after the trials of WW11 and the neglect of the interim period, the RAAF reinvented itself as one of the world’s premier high-technology defence forces.” (The Australian Centenary History of Defence, Vol2, The Air Force, Alan Stephens, 2001). Selected graduates from the RAAF Engineering and Radio Apprentice Squadrons, plus some adult trainees, who had gained sound, practical experience at maintenance and other units. These ‘practical’ engineers provided some 33% of the RAAF’s engineer corps. Apprentices graduated after three years of full-time training followed by two years of on-the-job supervised experience. The Diploma Cadet Squadron, formed to fill the gap between the ‘practical’ engineers and the university-educated theoreticians. Their courses were developed in concert with the Royal Melbourne Institute of Technology so as to ensure a strong, practical focus. Graduates were awarded Associate Diplomas in the MechEng, ElecEng, and RadEng disciplines. Students were required to satisfy the Victorian Leaving Certificate, the same entry standard as the RAAF College, and completed four years of study before graduating as Pilot Officers. The squadron closed when ADFA was formed. The apprentice and diploma cadet schemes were both major successes, proving, some 30 years after the diploma scheme was started, about 20% of the RAAF’s total number of Air Commodores. The Equipment Branch followed with its AssDipComm from RMIT, which was transferred to QIT, but this scheme also closed when ADFA was formed. The RAAF College, which planned to provide an annual output of engineer (BSc) and equipment graduates. Direct entries who were tertiary qualified engineers from universities. Engineers from overseas services, mainly the RAF and RN (Fleet Air Arm). Engineers with tertiary qualifications as a result of RAAF policies providing incentives for members to undertake further study. A small number of engineers were also given flying training as the Chief Engineer traditionally held flying qualifications. The type of tertiary qualifications that were held are identified at Annex B. On commissioning, engineer officers and those of other specialities obtained a common, basic Service education at the Officers’ Training School which covered drill, law, and administration. The school also conducted advanced courses in administration and law, as well as a Warrant Officer course. For those wishing to compete for the higher staff ranks, the ‘Q’ examination had to be passed at one sitting, with a maximum of three sittings allowed. Successful candidates were considered for the RAAF Staff College which awarded the annotation ‘psc’. On entering the RAAF, engineers were employed so as to maximise their expertise while providing them with appointments that would develop their technical and management expertise throughout their careers. This required a continuous dialogue between Personnel Branch where career development was planned and the Technical Services Branch. Operating units or small maintenance squadrons in Maintenance Units or Sections. The major maintenance squadrons in deeper level maintenance flights. The aircraft depots in aircraft, engine, or ancillary maintenance squadrons. The two Commands. At HQ Support Command, this might be in maintenance programming and management for aircraft, engines and repairables at RAAF depots and contractors, training, new project support, assessing and managing spares requirements, or management data development. Air Force Office to support qualified engineers. Those without previous RAAF experience would generally be posted initially to smaller operational or flying training units where they would be exposed to the basics of aircraft maintenance management, technical administration, and Service life. At all levels of training and experience, there was a constant thread that emphasised airworthiness and the many and diverse activities that go to make it up. They were also inculcated with both the ethos of the engineer and that of the Service as a whole. The Air Force with a technological advantage is likely to prevail in combat. MSc (2), BSc (6), BE (5), B Mech E (1), MEngSc (1), FDipCoEng (1), DipMEng (2), DipCoEng (2), None (9). PhD (1), BSc (14), BAppSc (3), BAeEng (3), BMechEng (2), BE (44), BTech (2), DipEd (1), DipElEng(23), DipMEng (15), DipAeEng (24), DipCoEng (15), GradDipMilAv (3), MIEE (UK) (1), None (115). DipEng (1), DipCoEng (1), None (8). Note: Non-tertiary qualified officers comprised many from the NCO and W Officer ranks who had completed an Engineering Apprentice course and had gained considerable practical experience in maintenance and project management. Source: The Air Force List – 1981. AFC, AE, jssc, psc, qfi. The majority comprised officers with decorations such as DSO, AFC and DFC, staff qualifications such as rcds, jssc, and psc, and specialist qualifications such as qfi and fci. These followed the general pattern above, plus some additional qualifications, such as swo, ndc, awc, and asq. BA (1), BComm (1), BEc (1). Mostly staff and specialist qualifications, as above. MPubAdmin (2), MBus Admin (1). BA (1), MComm (1), BE (1). i Refer Kopp, Carlo, Goon, Peter A., Review of Defence Annual Report 2002-03: Analysis of Department of Defence Responses, Submission, JSCFADT , 26th January, 2004, URL: http://www.aph.gov.au/house/committee/jfadt/defenceannualreport_2002_2003/subs/sub2.pdf. This document includes extensive primary references. ii Refer Kopp, Carlo, Goon, Peter A. Review of Defence Annual Report 2002-03: Analysis of Department of Defence Responses, Supplementary Submission, JSCFADT , 18th June, 2004, URL: http://www.aph.gov.au/house/committee/jfadt/defenceannualreport_2002_2003/subs/sub5.pdf. This document includes extensive primary references. iii Refer Kopp, Carlo, Goon, Peter A. Inquiry into Australian Defence Force Regional Air Superiority: Attaining Air Superiority in the Region: Testing the Evidence, Submission, JSCFADT, 15th May, 2006, URL: http://www.aph.gov.au/house/committee/jfadt/adfair/subs/sub29.pdf. This document includes extensive primary references. iv Refer Kopp, Carlo, Goon, Peter A. et al, Analysing "The ADF Air Combat Capability- On the Record", Air Power Australia NOTAM, 5th November, 2007 http://www.ausairpower.net/APA-NOTAM-051107-1.html. This document includes primary references. v Refer Sea King Tragedy and Black Hawk 221 Board of Inquiry Reports. vi This is especially concerning for two reasons. The first is that this transfers control of sovereign military assets to foreign organisations, beholden to their own governments and shareholders. The second is the resulting deskilling of Australian defence industries, as design, engineering and software development capabilities are shifted overseas. vii Refer AVM John Blackburn, DCAF, Interview, Australian Aviation, Phantom Publications Pty Ltd, No.247, March, 2008.
viii The Go8 comprises The University of Adelaide, The Australian National University , The University of Melbourne, Monash University, The University of New South Wales, The University of Queensland,The University of Sydney,The University of Western Australia. ix Technical or Engineering Management education is a distinct category which is not widely taught in Australian universities, primarily as such courses or units are considerably more difficult to teach and learn, and have thus been less than a stellar performers in the enrolment popularity stakes, compared to 'soft' general management qualifications like the Master of Business Administration (MBA), by far the most popular postgraduate qualification in Australia.